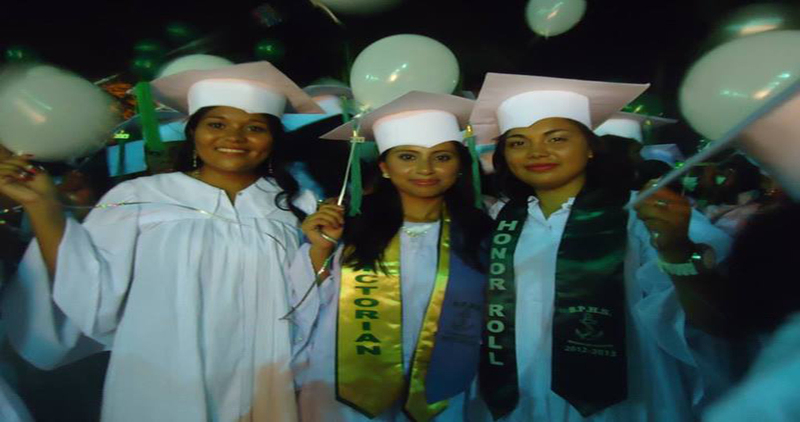 91 students received their high school diplomas at the 2013 San Pedro High School (SPHS) graduation ceremonies held at the Angel Nuñez Auditorium.Topping the class and presenting the Valedictory address was Monica Ack while Gabriel Azueta offered the Salutatory Address. The graduation ceremony was divided into two days, commencing on Friday June 14th with a communion mass honoring the graduates and the blessing of the graduation rings. Diplomas were handed out on Saturday, June 15th in the graduation ceremony that began shortly after 5pm. Family and friends gathered to witness with pride, the graduation ritual of the students who have worked hard for four years to achieve their high school education. Masters of ceremonies for the event were fellow graduates, Marceli McCorkle and Eric Donis. The main address was given by guest speaker, Giselle Flores Lobos, English teacher and head of Language Department at SPHS. The traditional rose ceremony was led by Yvania Cab and after a Candle light Ceremony led by Shelly Mucul, the senior class performed their rendition of “Hall of Fame by The Script. After an address by Principal Emil Vasquez, BriceydiVanegas gave the Vote of thanks. 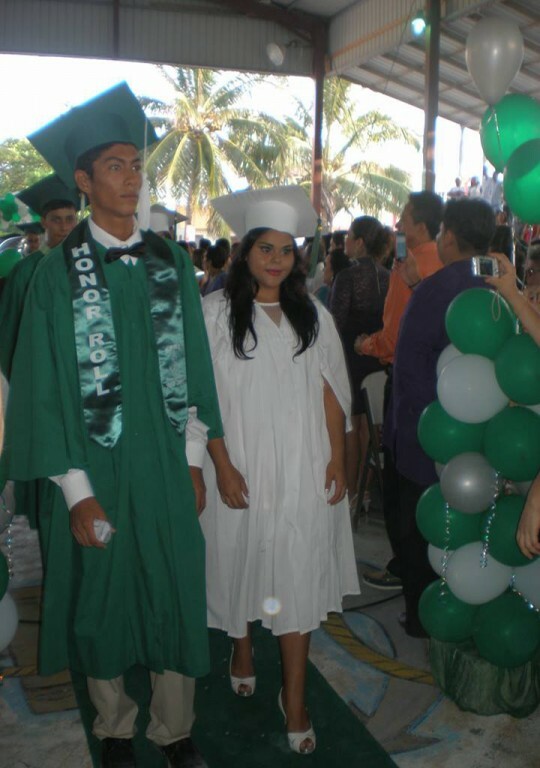 This was not the only high school graduation held on the island, however. Oon Sunday, June 16th, San Pedro’s Adult Continuing Education (SPACE), the high school night division managed by the San Pedro Junior College, graduated their first ever class of nine at the Angel Nuñez Auditorium. Master of Ceremonies, Alex Nuñez, welcomed family and friends, after which salutatorian Sheila Olivarez delivered a heartfelt welcome address. Guest speaker for the graduation ceremony was Clive Welch. 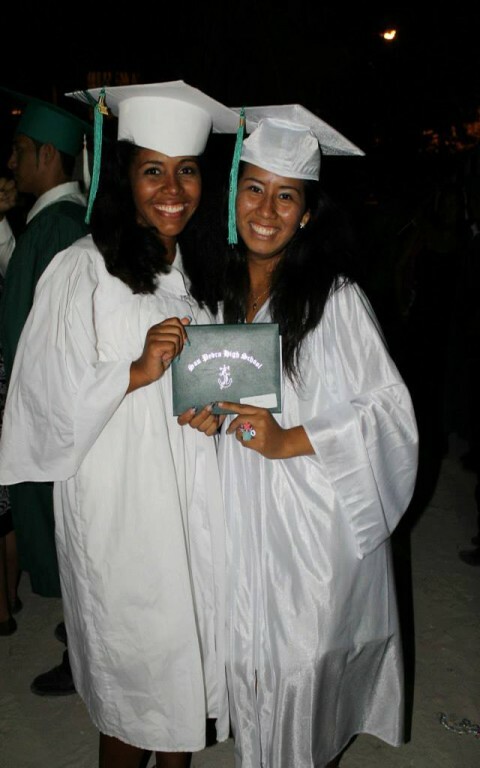 SPACE’s valedictorian for the class of 2013 was Lupita Dominquez, while the Vote of Thanks was delivered by Felicia Rejon. Also graduating were the standard six students from primary school division and the preschooler from across San Pedro Town. The San Pedro Sun congratulates all graduates of 2013. Keep on reaching for your goals!